We design and manufacture air cooled fin fan coolers for cooling various oils such as hydraulic oil, lube oil, gear oil etc. The finned cooler is assembled with fan and motor on a common base frame. Fin fan cooler has been designed and fabricated using the guidelines from API 661 and ASME section VIII Div 1. The MOC for tube bundle assembly SS 304 L and for structure carbon steel. 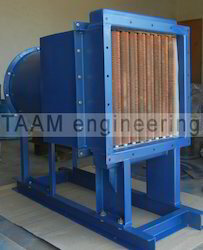 Air cooled heat exchanger type is forced draft exchanger. 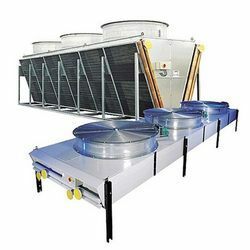 The Air Cooled Heat Exchangers are also known as Fin fan Coolers. Fin Fan Cooler is nothing but traditional name of Air Cooled Heat Exchanger. Since Fins are used in the cooler it is called as Fin fan Cooler.